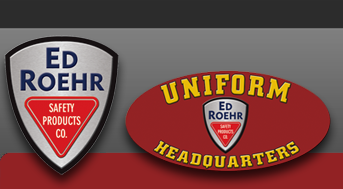 Laguna Manufacturing - Ed Roehr Safety Products Co.
Laguna Manufacturing is located in Sparks, Nevada. Since 1992 we have been serving the law enforcement community all over the nation, our mission since day 1 was to provide high quality vehicle transport products with officer safety in mind and that mission still continues today. In 2010 we opened our eastern distribution center in Harrison Twp, MI. The new distribution center will be stocking our 3P line including the new 3P FlexMat and the Ready Buckle restraints. With the East Coast distribution center in place, this will bring a more effective shipping method to all clients in the East. 3P, our brand name you can trust. We back our 3P brand with quality products that are proven to be superior in reliability and safety, which carry the best warranty in the industry along with friendly customer service. Discover why the 3P brand is trusted in agencies all over the nation.